Waring Commercial Mixer - TOP 10 Results for Price Compare - Waring Commercial Mixer Information for April 18, 2019. 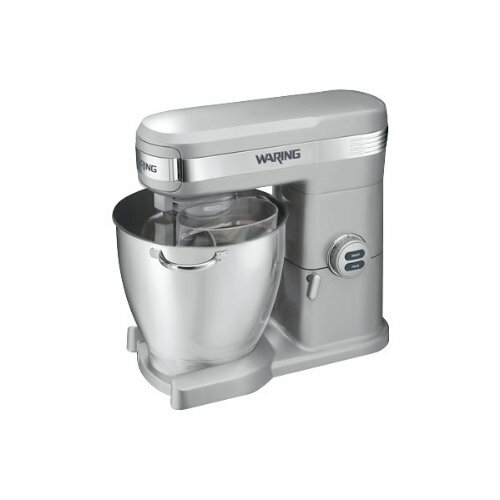 This commercial stand mixer comes with heavy-duty 1+ horsepower motor to handle the heaviest mixing tasks. It is featured with easy-to-use variable control with 12 mixing speeds. Soft start feature prepares mixture before engaging in set speed. 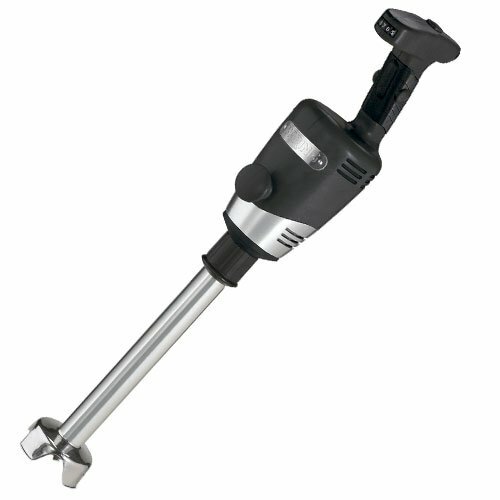 Its pulse function with maximum burst of power allows chefs to fine-tune their mixture. Tilt-back head is included for easy removal of attachments and cleaning. Features large 7-quart stainless steel bowl with carrying handles and heavy-duty full die-cast housing. 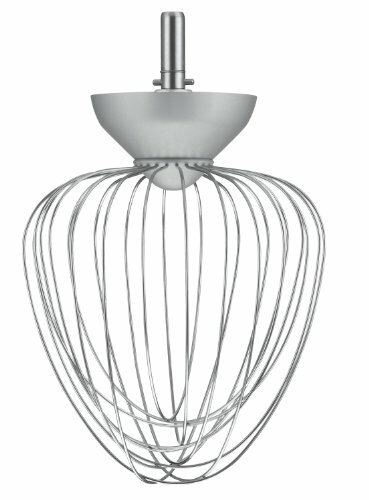 Includes chefs whisk, mixing paddle, dough hook and splashguard with feed chute. Available with 2 year limited warranty. Requires 120 volts, 850 watts, 60 hertz and is cETLus and NSF approved. Measures 15-inch height by 12-inch width 16-inch depth. This malt cup is designed to use with single-spindle countertop drink mixer. It is made of mirror-polish stainless steel and comes with rounded rim/lip. Compatible with WDM and DMC drink mixers. 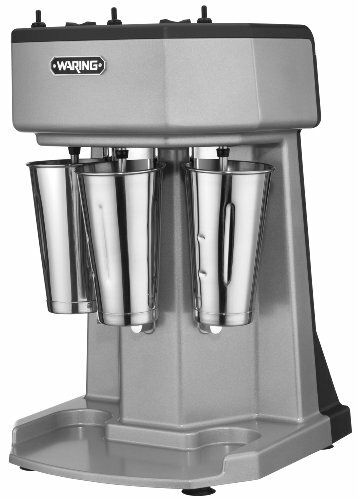 It is ideal for making milkshakes and easily malts with spindle mixers. It is dishwasher safe and also fits in most shake machines. This whisk is used in food preparation to blend ingredients smooth. It is made from stainless steel material. It is an accessory designed for WSM7Q stand mixer. Useful for making whipping cream, custards, puddings and more. Measures 11-inch height by 8-inch width 8-inch depth. Heavy-Duty immersion blender is perfect for driving through the thickest ingredients to produce sauces, batters and soups in just minutes. Made of stainless steel and plastic material. This Big Stix heavy-duty immersion blender features a rubberized comfort grip and a second handle for safe and controlled operation. This reliable performance is made possible by a heavy duty 1-Horsepower, 750W variable speed motor that allows for up to an 18,000 RPM processing speed. It has a completely sealed 18-inch stainless steel shaft that is easily removable and dishwasher safe. All-purpose stainless steel blade. A continuous on feature enables non-stop, hands free operation. It requires a 120-Volt, 60-Hz electrical connection and is NSF and cETLus, ETL sanitation Listed. Limited 1 year warranty. Comes with 35-Gallon capacity. This triple spindle drink mixer features heavy-duty die-cast housing easy to clean and impressive footprint. 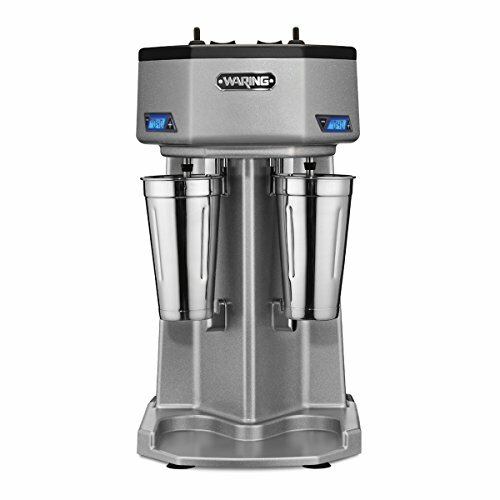 Allows high performance with three independent 1 peak HP motor for durability and quickly mixing the coldest, hardest ice creams. Operator can mix perfect drinks one, two and three at a time. Independent airflow for each motor. Features three speed rocker switch 16,000, 20,000 and 24,000 RPM. Pulse switch will run motor at selected speed to fine tune your mix. Increased cup clearance slide cups into position without tilt, do not lose any ingredients before or after mixing. Fully automatic start/stop operation as motor will run at selected speed once cup is in position. Frees up operator for other tasks and ensures consistent results. Includes butterfly agitator for softer ice creams and use with many types of cups. Also includes three stainless steel malt beverage cup. Motors incorporate thermal protection and are easily user-replaceable. Sealed ball bearings are lubed for life with no need to replace, providing long service life. It has 120 volt AC, 3 ampere power rating. Approved by cULus, NSF certification. Comes with limited one year warranty. Measures 21-1/2-inch height by 13-1/4-inch width by 13-1/2-inch depth. This immersion blender has universal power pack which fits all shafts and whisk attachment. Mash 50-pound of potatoes in under a minute. User-replaceable couplings on power pack and shaft. 750-Watt variable-speed motor, 1600 RPM on high with whisk. Features 1-horsepower heavy-duty motor, die-cast gears for optimal performance and continuous ON feature. Rubberized comfort grip and second handle for safe and controlled operation. Comes with 10-inch stainless steel whipping paddles. It has cETLus, ETL Sanitation approved. It requires 120 volts, 6.25 amps, 60 hertz, 750 watts. Available with limited one year warranty. Measures 31-inch height by 5-inch width by 5-1/2-inch depth. 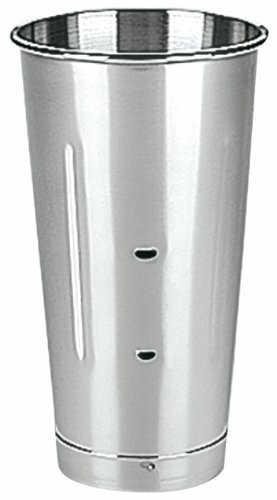 Quik Stik Plus immersion blender is perfect for anything from preparing light mixtures to pureeing, whipping and emulsifying. This medium-duty immersion blender features a rubberized comfort grip and a compact construction that allows for safe and controlled operation. This reliable performance is made possible by a 1/2-Hosrsepower, 350-Watt 2-Speed heavy duty motor that allows for up to an 18,000 RPM processing speed. It has completely sealed 10-inch stainless steel fixed shaft and blade. It requires a 120-Volt electrical connection and is NSF and cETLus Listed. Limited 1-Year warranty. Comes with 6-Gallon capacity. This heavy duty mixer is built to produce incredible milk sakes, malts, other ice cream drinks. Also great for flashing drinks, whipping eggs, and mixing batters. It has high-performance 1-peak hp motors, three speeds, pulse, and fully automatic start/stop operation. The timers allow the operator to set the machine to stop when desired. Built with a heavy-duty die-cast housing. It ships with two bonus stainless steel malt beverage cup included. Includes two solid and two Butterfly agitators. The motors are easily user-replaceable. Don't satisfied with search results? Try to more related search from users who also looking for Waring Commercial Mixer: Porcelain Mortar Pestle, Wind N Go Portable Lantern, Tennis Footwork Training, Yellow Plastic Stack, Toy Toaster Set. Waring Commercial Mixer - Video Review.